As one of its daily deals, B&H Photo Video offers the Oben Carbon Fiber Travel Tripod, model no. CT-3561/BE-117T, for $229.95 with free shipping. It features rubber feet, a panning lock, and adjustable legs. Deal ends today. 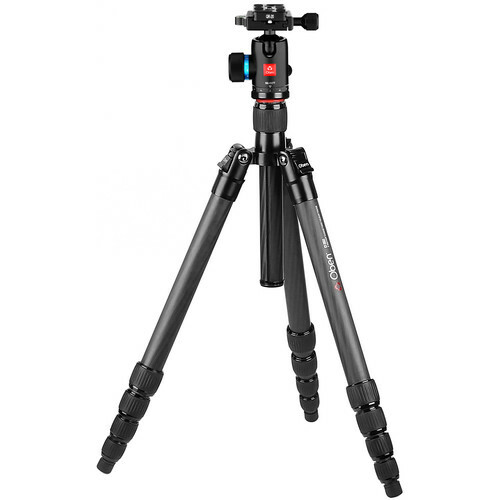 The CT-3561 Carbon Fiber Travel Tripod with BE-117T Ball Head from Oben is a sturdy yet lightweight tripod with 5-section legs that fold upward 180° to create an extremely compact package for transport – with the included head attached, folded length is only 16.8". For further versatility, one of the legs unscrews from the chassis and attaches to the head & center column to form a working-height monopod. With a system load capacity of 17.6 lb, the tripod and head ensure a stable base for many DSLR body/lens combinations.